Parts travel straight from the Form 2 to Form Wash. Opt to go glove-free and keep parts directly on the build platform. Simply set the appropriate time and let Form Wash get to work. 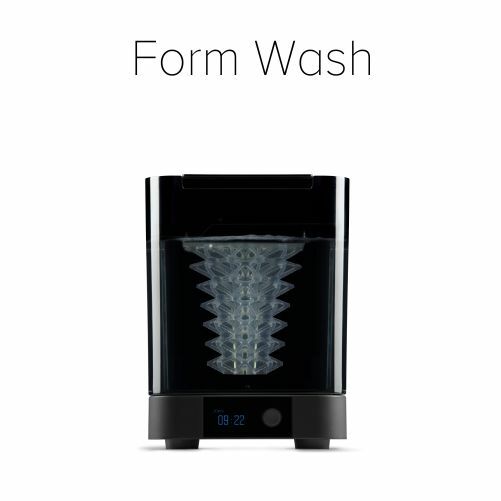 Once washing completes, Form Wash automatically lifts parts out of the IPA, avoiding over-soaked, warped prints. Parts air dry and are ready when you are. Form Cure is finely tuned to bring parts to their maximum mechanical properties. 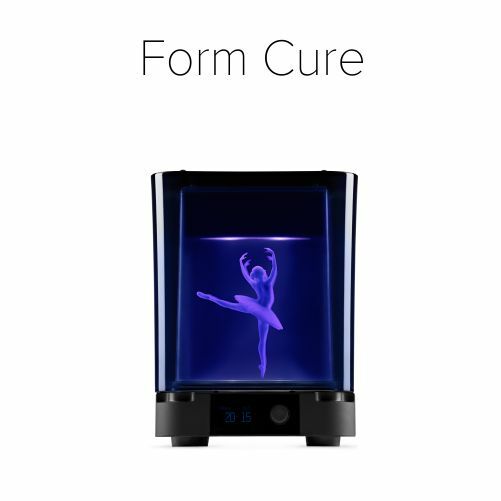 For Standard Resins, simply use Form Cure’s default time and temperature. For all other materials, use unique recommended settings for optimum performance. Once time is up, parts are fully cured and ready for peak performance.